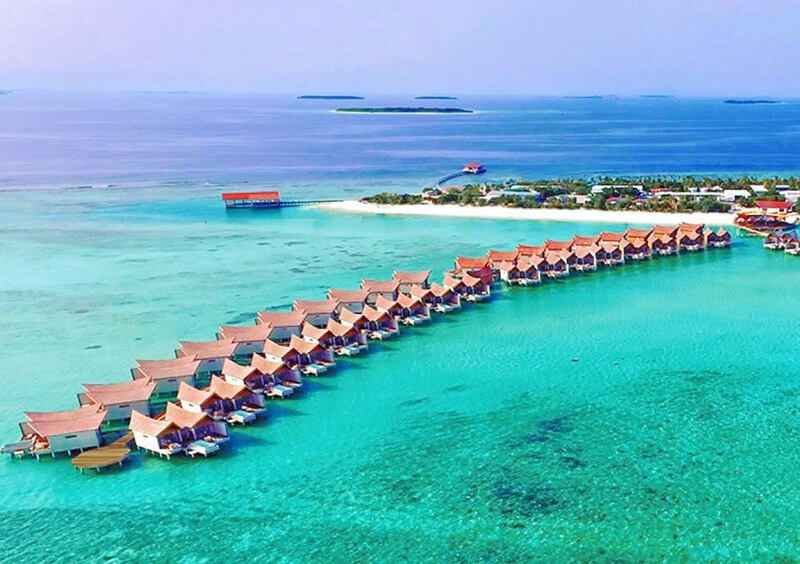 Nestled on a private island in Noonu Atoll, situated in the northern part of the Maldives, Movenpick Resort Kuredhivaru Maldives promises serene seclusion and tropical tranquillity when it opens in November 2018. The resort will also showcase a series of unique architectural features and distinctive design touches that complement the soothing natural surroundings. 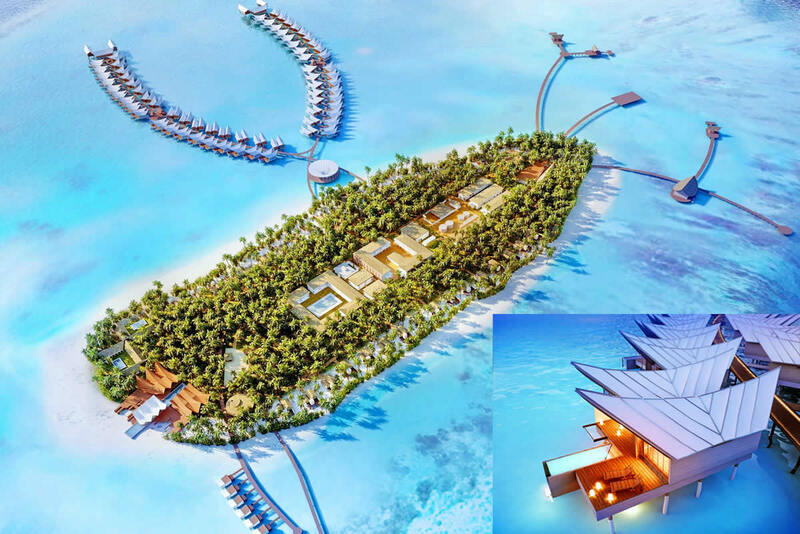 Movenpick Resort Kuredhivaru Maldives will be Mövenpick Hotels & Resorts’ inaugural property in the Maldives, and the first Maldivian project for MOTIV, bringing a fresh perspective to the country’s hospitality scene. Organic shapes for the roofs in villas and restaurants make the structure blend better with the environment. Interiors were dictated by ergonomy, to give to the guest comfort to stay close to nature, nature is the biggest luxury in the Maldives and architecture should just make it more prominent. In terms of natural materials, coconut wood has been used for the furniture, structural elements of salas and the interior mosaics were finished with handmade square shape coconut tips creating a warm and enchanting environment indoors. The resort’s main restaurant, ONU, is built entirely from bamboo with a wide-open roof, including intricate geometrical shapes, while Bodumas, the seafood restaurant, boasts a roof design that’s inspired by seashells. Latitude 5.5 restaurant follows the bamboo organic design and provides a spectacular view from the edge of the infinity swimming pool. “Conservation is a key element of the project. Every coconut palm on the island has been preserved, with a limited number being replanted. The island is also home to some traditional coral brick structures with historical and cultural significance, and these have also been preserved for guests to visit,” added Pawel Podwojewski. Сombine comfort and style, Mövenpick Resort Kuredhivaru Maldives offers discerning guests the ultimate beach holiday in Noonu Atoll. Both thrill seekers and leisure lovers will find everything they need along the resort’s white sand beaches, where picture-postcard scenes present themselves at every moment. Set your feet upon the powder-white beaches and explore the colourful marine life. Savour great cuisine at four restaurants and marvel at stunning vistas of the Indian Ocean. Unwind at Sun Spa by Esthederm, refocus your energy with yoga, and let your youngsters play at the Little Birds Club. Allow your mind to tailor-make a very special experience in the Maldives. Each of the 72 Overwater Pool Villas, 30 Beach Pool Suites and 3 Beach Spa Pool Residences are private havens of comfort, comprising large living rooms that lead to wide bathrooms with stand-alone bathtubs and floor to ceiling windows from which to enjoy the shimmering tropical sunlight. One of the brightest impressions in Mövenpick Maldives is a world-class cuisine in a unique setting. The resort's chefs just love pulling out all culinary stops, making dining at the five-star Mӧvenpick Resort Kuredhivaru Maldives an experience to remember! Noonu Atoll is a wonderful playground if you like snorkelling and scuba diving. The resort's licensed divemasters guide divers to the best spots. The Raafushi, Christmas Tree Rock and Orimas Thila - must dive! The resort is also the perfect destination to take learner dive courses and gain basic certification. Those who desire a chance to explore without exerting themselves can hire a private trip by fully-crewed catamaran.